Rattle some bones with this fantastically detailed decanter, made marvelous with an expressive handblown skull rising from the base inside. 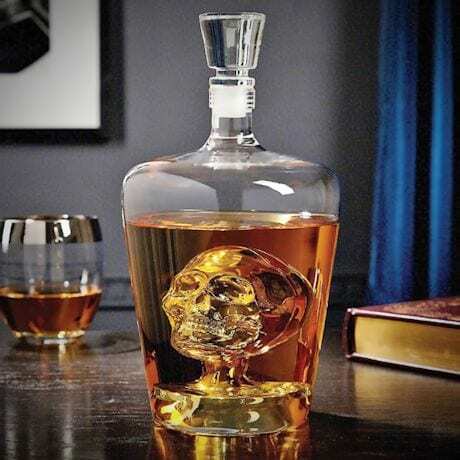 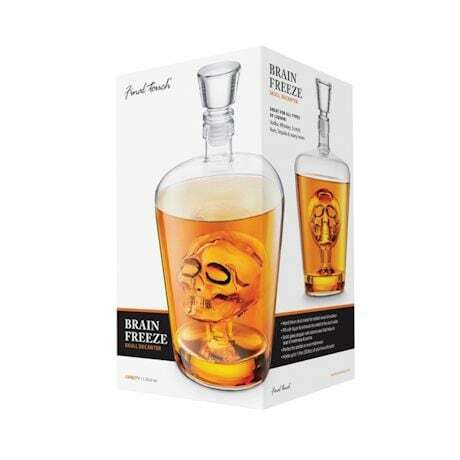 Fill it with your favorite liquor, and the liquid creates an even more eerie effect. 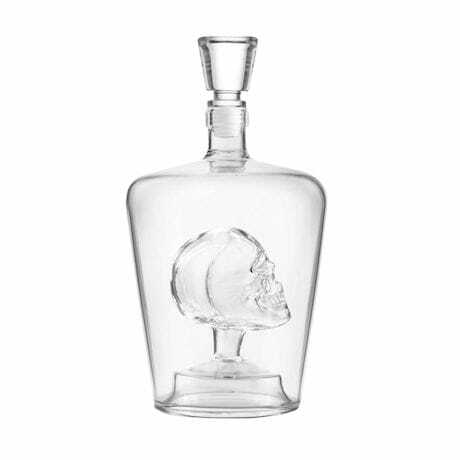 Hand-wash glass. 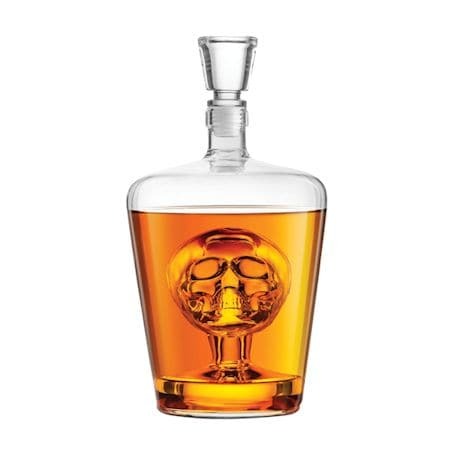 9½"; holds 1 liter.